A jacket will never be just a jacket - at least in my eyes, and hopefully yours as well. Pools of talented designers have continuously worked hard to expand on the single focus behind what clothing is to help fill our wardrobes, books and museums with ambitious designs, ideas and… jackets around the globe! From a simple jacket with two pockets to a multifunctional utilitarian shell that can protect you from rain, wind and other extreme climates - there are multiple different ways and ideas that a jacket can change into something special or even something that expands on its natural native purpose. Many designers have jumped ahead of their time by going above and beyond the limits of the garments in front of them to create multi-functional jackets that had never been seen before. 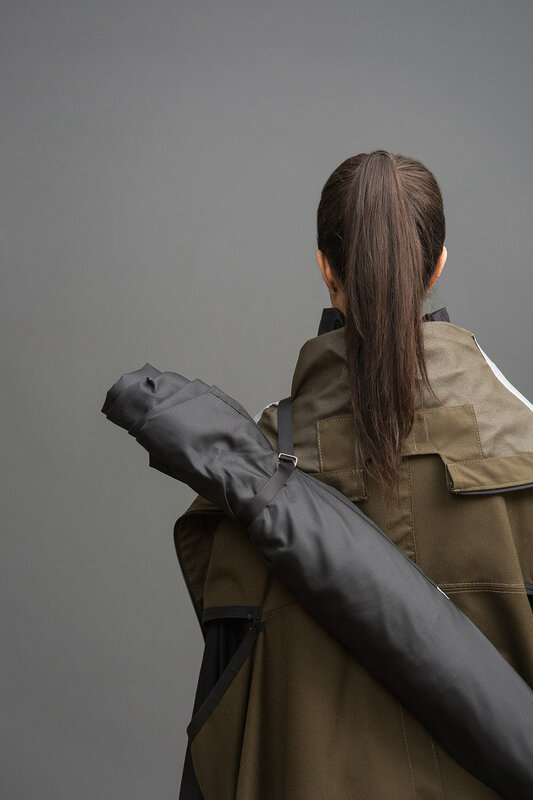 Massimo Osti included the famous military Zeltbahn design in his first collection for Stone Island, a silhouette that transforms into personal shelter for the wearer and when combined with other models even expands into larger sized tents. C.P. 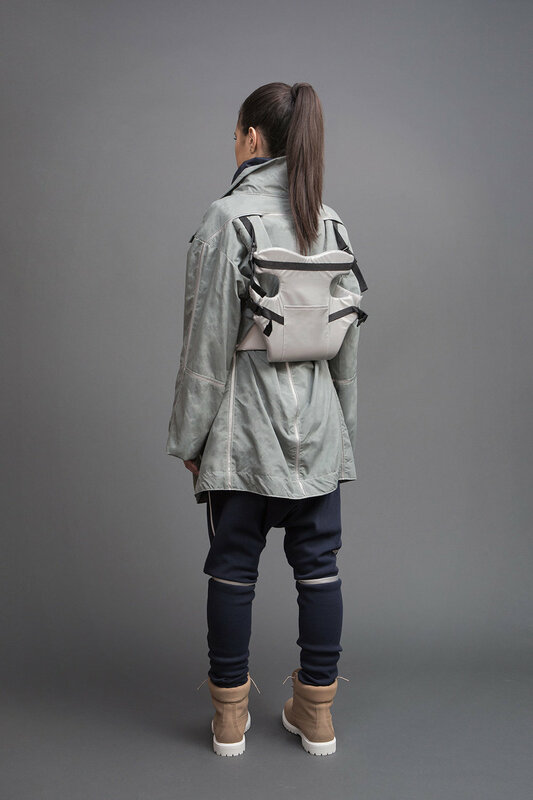 Company has also created numerous designs that allow their jackets to become even more beneficial by expanding their fabric choices and integrated hardware. These benefits almost seem limitless with designs that turn into hammocks, kites, inflatable armchairs, portable mattresses or even a moving unit through an attached ultra-light scooter. In 1992, Lucy Orta created a range of multifunctional clothing under the brand name “Refugee Wear“. The natural purpose of the clothes were to shelter the owner and secure them against natural disasters and human catastrophes. Garments that could turn into sleeping bags and tents to offer a small solution for real reasons. Jackets that were more than they appeared to be. Almost 25 years later a young designer named Angela Luna is now following a very similar path by introducing her new project ADIFF to the world. ADIFF is dedicated to dressing those in need through their design, innovation and large scale donations through sales. 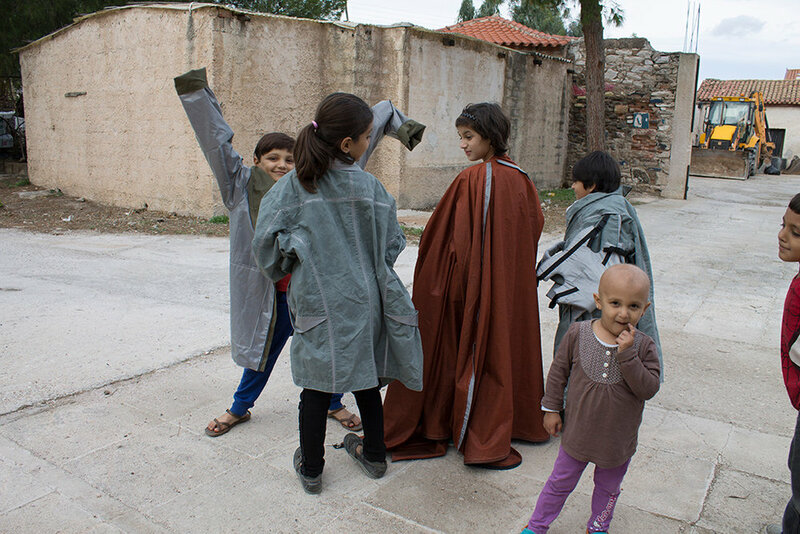 In response to the growing refugee crisis, Angela Luna has come up with different solutions (Jackets) for issues refugees are faced with day and night. From carrying around a child, to wind and water protection, or even the ability to make yourself more visible in dark times. The brand integrates solutions for these problems while at the same time selling their jackets to the public as well. The best part is that with every purchase made, a portion of the proceeds will be donated to refugees in need around the world. So wether it’s through their jacket designs, or charitable business plans, ADIIF clearly helps to provide those who need it more than us superficial people posing in our multifunctional clothing in peaceful towns and busy Instagram feeds around the world. Dear Angela, can you please tell us something about ADIFF? When did you have the idea to start a fashion label to help other people? 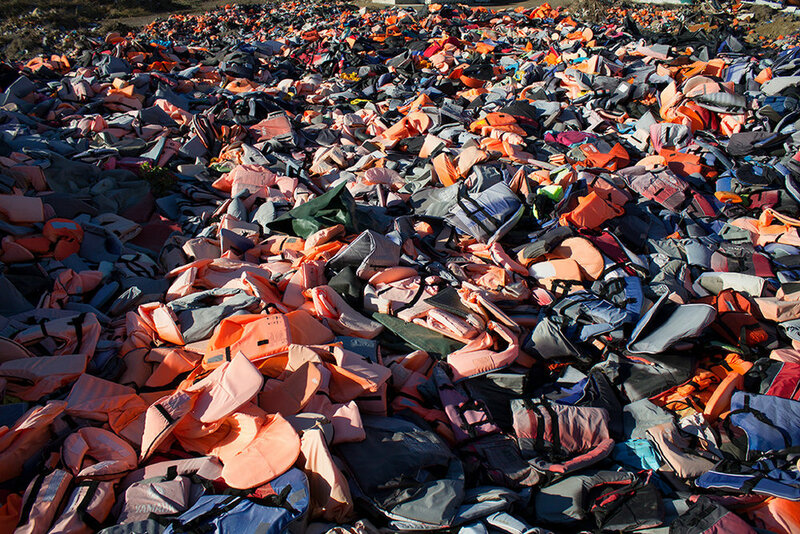 The brand really came out of my senior thesis collection at Parsons School of Design, where I investigated whether fashion/clothing could provide lifesaving assistance to refugees. The whole idea of creating a company was really born out of finding a sustainable way to donate these jackets to refugees and homeless. What came first? Did you first brainstorm numerous ways that you could use functionality to help people in need or was it clear from the beginning that you wanted to blend fashion and function together? Function was absolutely the key aspect that I focused on. I suppose that my couture/evening-wear aesthetic found its way through, which is why the collection turned out so beautiful. But yes, since I first developed the project while in school, attention to aesthetics and making the garments look good was necessary in order to not fail the class! Can you please tell us more about the very first jacket/idea - the Reflective Reversible Jacket - that ADIFF started with? We decided to launch with this jacket because of the need that was demonstrated in refugee camps. When I visited Greece last fall, safety and visibility were the key problems and this jacket could address that issue best. I also figured that it would be the easiest to sell to customers and produce! The design problem it responds to is: needing to be seen one second and hide the next, and how clothing can facilitate that. There are a couple of other interesting ideas I saw from you. For example the tent jacket, or the sleeping bag jacket, there is also a jacket that allows you to carry your child with you. Can you give us more insight behind the motives of these jackets? Can’t reveal everything just yet, but we’re now offering our tent jacket for presale on our website www.adiff.com! This is the next big product we’re hoping to release at the end of this year. Expect more cool, innovative designs to come next year. The jackets were first designed only for humanitarian causes but will be now also be sold to anybody who wants one - but with a buy-one-give-one twist. Can you explain how you can still guarantee quality and a sustainable business model for the brand? We found that the B1G1 model was a great way to fund our donations and allow anyone to give back and make a difference in the displacement crisis. A lot of people want to help but don’t know how, so we see this as giving them a way. There’s been a lot of backlash about B1G1 models because of the disruption they can bring to existing economies, but with displacement and in times of crisis, there is really no economy to disrupt. Clothes are being donated, but we just want to make sure it’s the right clothes – not clothing that is going to make life even harder. Let´s talk about your designs. Since Biancissimo is a big lover of technical outerwear there were a couple of really interesting bits in your designs. 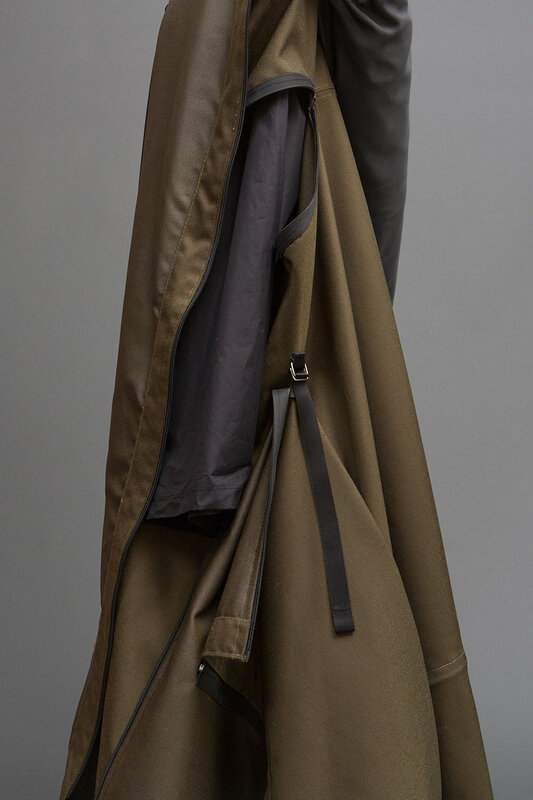 For example the tent-jacket reminded me of the Massimo Osti Zeltbahn jacket. Can you explain to us more about where you got your inspiration from? 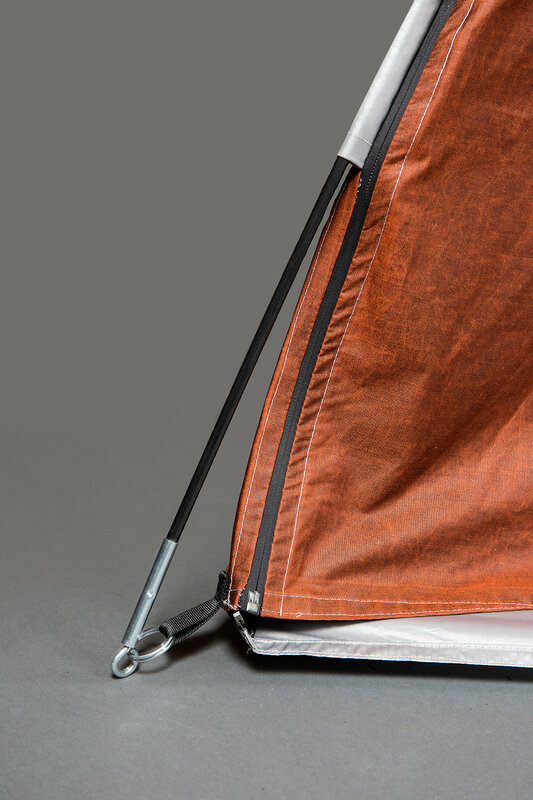 I didn’t pull any inspiration when designing the tent jacket; my main concern was just to have it stand up as a tent and stay on the body as a jacket! If it looked good, then it looked good. I did research more artistic interpretations of this, specifically in the work of Lucy Orta, but was more focused on creating a functional, practical jacket, not an art piece. When designing anything, I never look to the work of other designers, because then there is no chance to be original. Am i wrong or do I spot a little Jedi vibes in your jacket creations ? I’ve had a few people say this to me! I’m actually not a Star Wars fan and haven’t seen any of the new films, so any crossovers is merely coincidental. I saw more it being more Hunger Games than Jedi. Contrary to your designs that should and will help people, technical clothing mostly is inspired or directly influenced by military wear. Almost every utilitarian detail from a lot of iconic jackets come straight from military influence. So on (at least) my meta level you’re kind of using war as your inspiration to design tools for good. Do you find any contact points with my meta thoughts or would you disagree with that definition? That’s definitely one way to look at it. I see functionality less associated with military, but more with uniforms in general. This is actually a main point I’m discussing in my next TED talk. With uniforms, there is a lot of attention to detail and user interaction – I’m just trying to bring that same attention to consumer fashion as well as donated products. There was a very interesting project from 1992 to 1998 called “Refugee Wear” by the former fashion designer Lucy and Jorge Orta (Studio Orta). The designs and jackets were also designed as survival kits, modern nomad wear and shelter. Times were different these days, no viral videos, actually no hyper connectivity at all, no Facebook, no Kickstarter. Seeing your own viral moves and how the industry works these days, it seems as if ADIFF is already a social movement, because without all the people sharing, caring and liking your project we probably would not talk today. So how important was the world wide web for you and could you imagine how you would have tried to get things done without it? People ask me all the time how they can go viral. And the tricky thing is that I still don’t know how it happened! But it really comes down to you needing a unique idea. Something that resonates with people and makes them feel something. If I was trying to start this company back in the day, we’d have to rely on more traditional forms of exposure like print editorials, runway shows, and wholesaling to retailers. The digital age has totally revolutionized how companies get started and how ideas are spread, but it also brings a lot of pressure, because our attention spans have totally shifted. What else can we expect from your brand, will you continue carrying the functional design aspect into other ideas, such as furniture or accessories? Beauty and functionality are going to be what defines our products going forward. I’ll definitely look into making accessories and other physical products that relate to our line! We’ll design whatever we see a need for. Any last words to the Biancissimo audience? Follow us on Instagram and Twitter and on Facebook! We’ll be posting updates so you can follow our progress. Thanks a lot for your time, your ideas and work!